Follow these tips to plant the initial seeds and grow a lucrative app. So you’ve developed an app. Welcome to the club. There’s an estimated 8.7 million app developers around the world, and in order to make an app that sticks, you need to outmaneuver a large portion of competitors. To successfully develop an app, start with a brilliant concept and one that’s greatly needed by the public. Here are some tips to get your creative juices flowing, so you can develop a unique app concept that will resonate with your target audience. As long as you’re confining yourself to a specific price range, you’ll be limiting your creative potential. Don’t worry about the cost of app development until after you’ve begun honing in on an app concept. Remember, if your app idea is strong enough and your pitch is compelling, you’ll be able to attract investors to cover the startup costs. Consider what you’re developing the app for. Is it to attract more customers to your business? To improve customer loyalty? A healthcare app? A children’s app? An educational app? Once you’ve honed in on a purpose and demographic, you can identify problems within that niche. Create a list of all problems or inefficiencies facing that niche, and brainstorm a variety of solutions that could make for a great app. You don’t want to develop an app that’s a hit from the start but slowly phases out. You need to create an app that will continue to be relevant into the future. Think big and conjure up futuristic ideas that are innovative, relevant, and will provide long-term value. A brilliant app concept won’t come to you in an afternoon brainstorming session. It’s something that needs to be cultivated over time. Carry a journal around, and jot down ideas as they come. You can continue to build upon the ideas that hold potential, whilst discarding ideas that aren’t panning out. 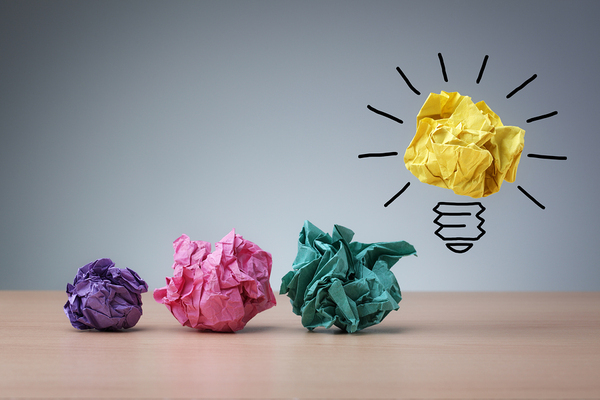 It’s through the process of ongoing brainstorming that truly groundbreaking ideas emerge. Be prepared to discard a lot of ideas before settling on the perfect concept. If you’re having difficulty coming up with a creative app idea, simply look to the marketplace for inspiration. Analyze market trends within your focus niche to see what consumers are most in need of and what apps would be most relevant to them. Once you’ve honed in on a handful of app ideas, you can conduct market surveys to gauge interest among consumers. When coming up with a new flavour for Lay’s Potato Chips, the company didn’t just develop a new flavour on a hunch. They put it to a vote among the customers they serve, and ultimately, this decision proved lucrative. By turning to your prospective customers for guidance, you can create a better app idea from the start. Developing a creative app concept is no easy task. Amidst fierce competition and a fickle marketplace, inventing an app that’s successful is a tricky game. However, with the right tools at your disposal, you’ll have more success in both the innovation and development of your app. At Glance, we’ll help you to conceptualise and refine your app idea, so it resonates with your target audience. Contact us to get started.